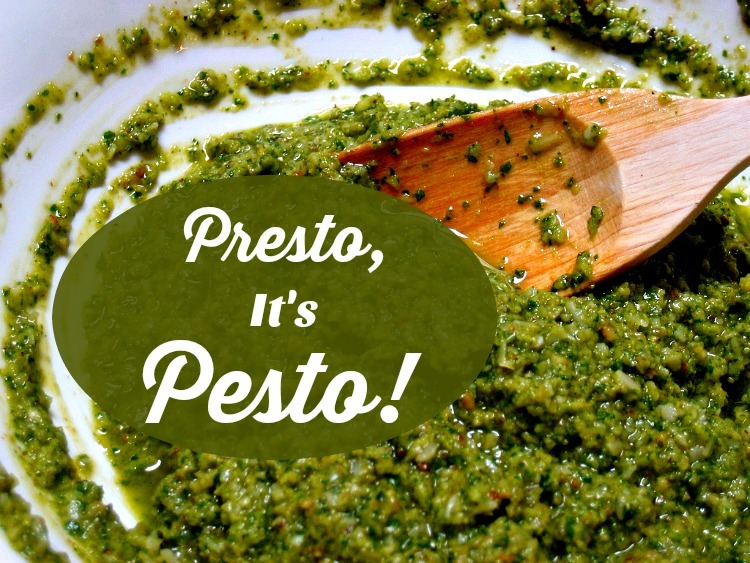 Ah, pesto! We can thank the Italians for this simple, savory sauce. The traditional version, classic “Pesto Genovese” (recipe below), is so easy to make and has only five ingredients: basil, pine nuts, garlic, olive oil, and parmesan cheese. This entry was posted in Gardening, Preserving, Recipes and tagged fresh herbs, pesto on August 27, 2016 by Homesteader's Supply. A fall garden has a lot of advantages. Perhaps best of all is that the cooler weather lets you plant your favorite early spring crops again, so you can enjoy them twice in the same year! You don’t need to contend with as many bugs, either. It’s more comfortable to be outdoors, for both you and your plants. Veggies won’t bolt quickly the way do in the intense heat of summer. Some folks even say the frost brings out more flavor in certain crops. And then, depending on where you live, the harvest season can extend until quite late in the year. This entry was posted in Gardening, Straw Bale Gardening and tagged fall gardening on August 20, 2016 by Homesteader's Supply. The gardens are producing, we’re putting up food and there are vegetables and fruits to share, but do we have enough of all we want? If not, let’s do what we can to buy locally. Do you know how old your grocery store purchased fresh vegetables are? According to the Economics of Food, Farming, Natural Resources and Rural America Economic Research Service, which is part of the USDA, food travels an average from 1500 to 2500 miles, depending on what it is and where it was grown or raised, from the field to your dinner table. Your food will be much fresher than its grocery store counterpart that needed 7 to 14 days to reach its destination after being picked. That’s a lot of traveling, time and fuel to get that food to you. Every day thousands of semis are on our interstates bringing food to us. According to the Ohio Ecological Food and Farm Association, fertilizers, pesticides, herbicides and transportation of food use up a lot of our non-renewable petroleum. They say one fifth of all petroleum in the United States is used in agriculture alone. If you shop at a farmers market, farmstand or are a CSA customer you’re food will have maximum freshness, contain less packaging and use less fuel for transportation. Fewer emissioins will be produced which will help to keep our air cleaner. You probably won’t find styrofoam trays and plastic wrap (petrochemical products) used as packaging at your local farms. You’re more likely to find baskets of unpackaged food to choose from. Nutrient content starts to decline after fruits and vegetables are harvested so the sooner you have them on your plate the better. According to David Suzuki, loss of nutrients also comes from picking unripe fruit so that it will last extended time in transport. Additionally, he also says chemicals are often used to prevent mold and fungus from growing during transportation and storage. Shopping locally keeps your money in the local economy longer. If the farmer spends that money in the community the local economy benefits from those same dollars again. You’ll also help create local jobs. Farms need workers. And don’t worry about cancelling out a job at the big box store. 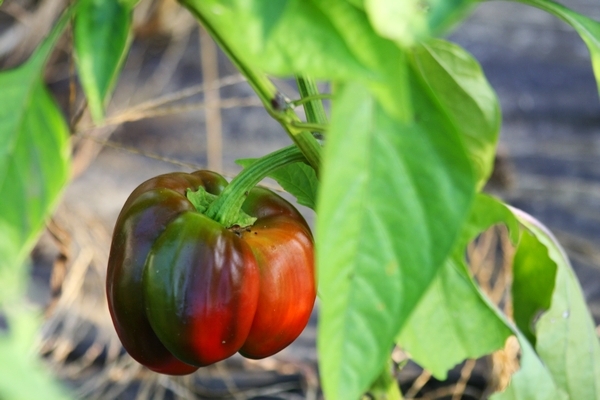 We’re no where close to having that much locally grown food available – but there’s hope! The Buy Locally movement continues to spread and gain followers as people learn more about its importance. 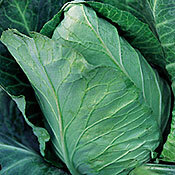 Grocery stores don’t offer the unique varieties you can find on farms. Grocery stores must have produce grown to look appealing and hold up well during transportation. According to Mary Choate, author of “A Good Tomato in Winter, Where?” most fresh fruits and vegetables produced in the US are shipped from California, Florida and Washington. Food has to hold up to handling, being bumped around a lot, and long rides to stores. You don’t get as many varieties because of this. 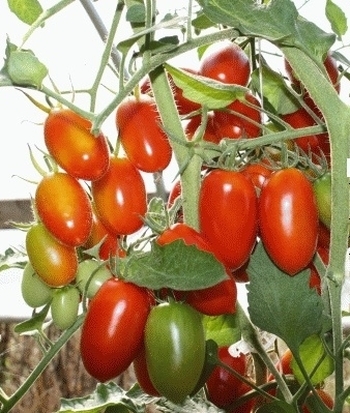 Thin skinned tomatoes, for example, often taste wonderful but they’re more prone to cracking during the rough handling they’ll get. You’ll support family farmers. Since 1935, the United States has lost 4.7 million farms. Fewer than one million people claim farming as their primary occupation now. That’s terrible. We need more farmers growing and raising healthy food closer to our homes. In order for those farmers to run sustainable farms we need to show them our support. When you support your local farmers you know where that food is coming from. What do you know about food imported from foreign countries? You can see the growing practices they use for vegetables and fruits. Chickens and turkeys raised on pasture have very different lives than their commodity farm raised counterparts. Pasture, fresh air, sunshine, eating bugs and grass like birds are meant to do, and natural fertilizing as manure is dropped versus cement floors with litter to collect manure, no sunshine, no natural foods, not moving around to catch bugs: it’s an easy choice for me. The texture of a pasture raised bird is incredible. You get meat that needs to be chewed and enjoyed. And, there’s something serene about passing a pasture full of cows, don’t you think? I grew up in the suburbs. One of my favorite things was to stand at the fence of a pasture filled with replacement heifers owned by a dairy farm 20 miles away. I will always love that sight. This entry was posted in Gardening, Homesteading and tagged Buy Local on July 27, 2015 by Homesteader's Supply. After leaving the grocery store yesterday morning, I sat in the car, a little disturbed and depressed. The expense of grocery shopping these days is astronomical. I came home determined to grow more of my own food. I’ll add to my container gardening and I’m thinking about what I can grow indoors in winter. Ugh! Grocery shopping is expensive! It’s May and there’s fresh food available but not enough to put fresh vegetables on the table daily so I’m still shopping. It’s time to find the local farmers market in my new state. Carrots: They are dry and many of them were cracked, and they’re .99 cents a pound. I moved on to the organic section and found nice carrots for $1.49 a pound. I’m sure this is less expensive per pound. They don’t have to be peeled because they are fresher, and because they aren’t overgrown and cracked. They’ll be great in the coleslaw. Broccoli: Soft and starting to flower. $1.99 a pound. The stems’ ends were dried out. Peas: $4 a pound. It takes about a pound of freshly picked peas to get one cup of peas after shelling. Who can afford to pay $4 a cup for peas? Oh my gosh, grocery shopping is expensive. Spinach. I looked at baby spinach with the thought of adding it to my salads and quiche (the hens are laying full force so I’m eating a lot of quiche). It was packaged in a plastic container. $9.09 per pound. I can buy a lot of spinach seeds for $9.00. Yellow summer squash. It’s a wonder I didn’t mutter out loud. $1.79 a pound. Fresh from the garden this week, I have radishes, Swiss chard, baby beets and beet greens, lettuce, arugula, boc choi, the last of the tatsoi, and the green garlic. And eggs! Lots of eggs for protein. Fresh food is worth the effort, especially after my reminder that grocery shopping is expensive. 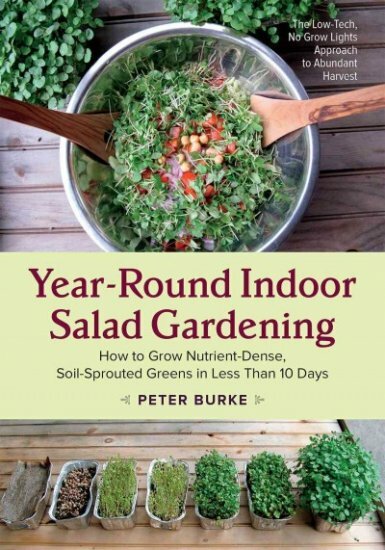 This entry was posted in Gardening, Homesteading and tagged food, Gardening on May 18, 2015 by Homesteader's Supply. I’m still at it! I’m still sprucing up the yard here and there as I get a little time. This weekend I spent time on the perennial gardens. With the garden rototilled and settling, I turned my attention to the perennial gardens. By the time I finished one of them became an expanded perennial garden with room for annual vegetables and flowers. There’s so much work in setting up a homestead and making it our own that adding beauty can be lost in the shuffle. As good as it felt to have the garden prepared and ready to plant, working in the flower gardens was rewarding. It’s a small start to all that needs to be done to my new plots (remember that I’ve been here just over a year) but looking out the window this morning and seeing flowers that weren’t there 24 hours ago made me smile. Sprucing up the yard has had a fast return in smiles. I moved Johnny Jump Ups, a self-seeding annual, to the expanded garden, right by the back porch. It was overcast yesterday when I uprooted the clump and divided them. 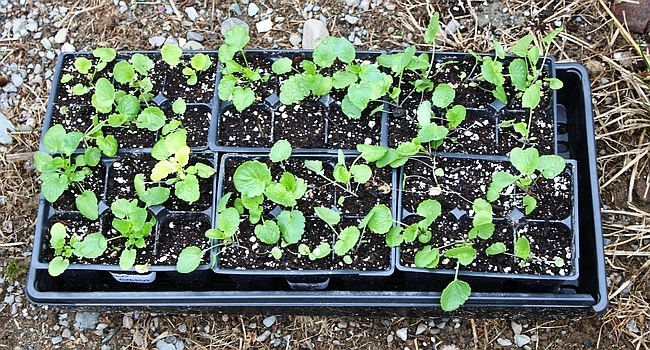 Soon after I put down the shovel for the day, the sky opened up and poured on the newly transplanted flowers. It’s overcast and drizzling today and for the next two days, perfect weather for transplants to settle in. Before the end of the season I’ll leave a few flowers instead of dead-heading and let them go to seed. Over the years the colors will change as the number of generations grow. 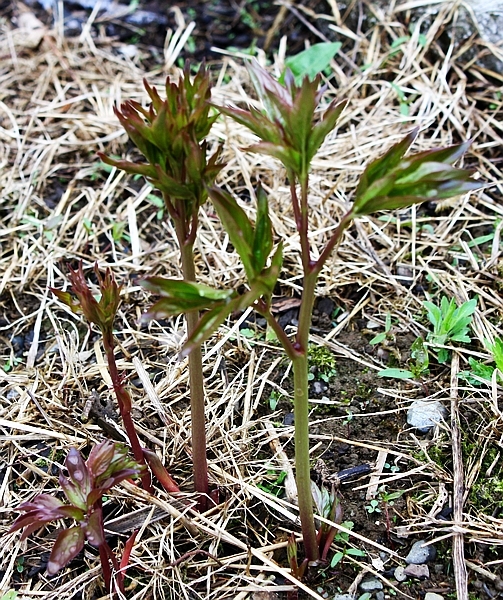 This peony survived transplanting and winter and established its roots well. It will take a few years to grow before it flowers. I divided one plant into three. When they fill in and blossom together they’re be beautiful. When I’m sprucing up the yard next year I’ll probably need to add support for the peonies. Or at least I hope they grow that much in a year. 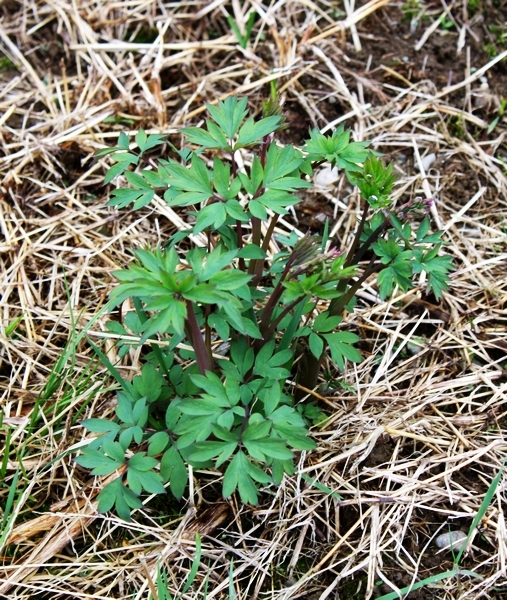 This bleeding heart has been here for a very long time. It might have been one of the original plants in the perennial garden. It was overgrown, its root a massive, woody, hollow mess. There’s only one thing to do when it’s that bad – break it up with a spade, dig holes, amend the soil and split it up. I might have been a little too harsh. This and one tiny other shoot have come back. This is the original plant. So be it. It didn’t bloom last year and it might not this year but next year, it will be beautiful again. I’ll weed this bed when the rain stops, and I’ll be looking for other plants that might still pop up. It was nice to find the chives growing. I use a lot of them in cooking, dips and on baked potatoes. I divided the clump, spread them out and will pass one section on to a friend when she visits later this week. I bought an oregano plant at a garden show but I’m not sure it’s going to survive. It’s out there and now I want to see what happens. I ran out of oomph by the end of the afternoon. 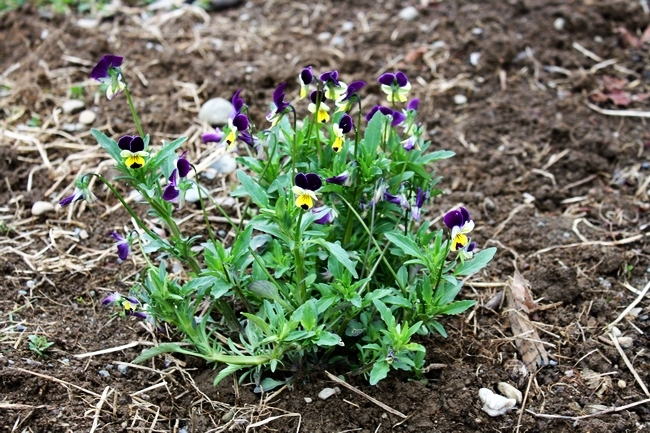 These pansies are waiting for me. They’ll be just fine right there for a few days as long as I remember to take them out of the tray. What’s growing in your perennial gardens? Are you adding annuals to fill space or because you like them? This entry was posted in A New Homestead, Gardening, Homestead Happenings, Homesteading on May 11, 2015 by Homesteader's Supply.